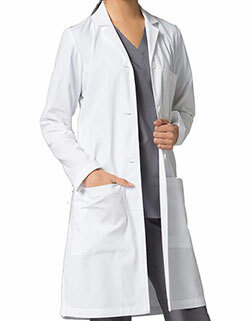 Crisp white Consultation coats are a sight not to be missed! 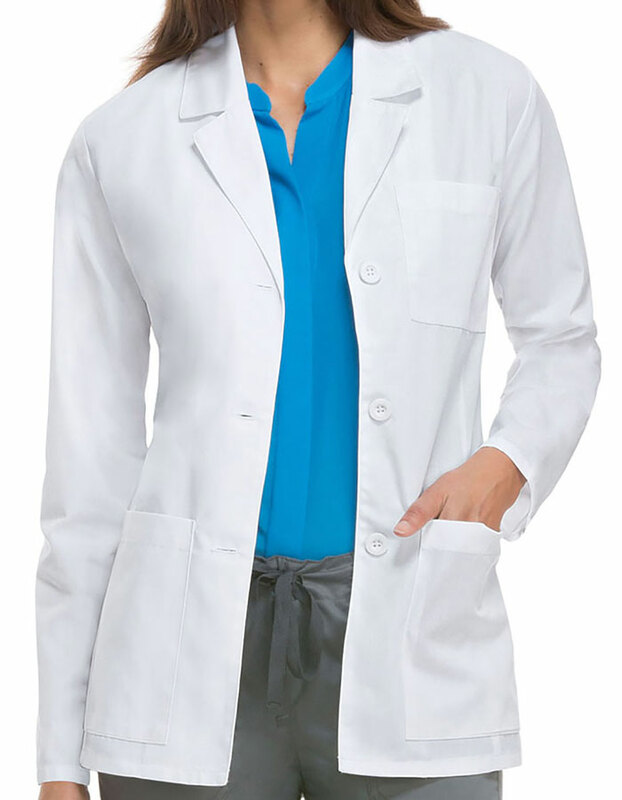 Just Lab Coats features this Dickies 84401AB Women's 28" Consultation lab coat having quality of “Antimicrobial w/ Fluid Barrier” that features a notched collar and a three button front closure. Also highlight one chest pocket and two lower patch pockets. Front and back darts to add shape.